Duy Hua was born in Saigon, Vietnam. He received his Ph.D. from SIU in 1979 under the direction of Dr. Cal Meyers. Originally from Vietnam, Dr. Hua began his studies in Japan at Kyoto University, where he received his undergraduate degree in 1976. Dr. Hua then completed his Ph.D. just 2 years and 11 months after entering the Department of Chemistry & Biochemistry at SIUC. After receiving his doctorate, Dr. Hua carried out postdoctoral research at Harvard University with Dr. E. J. Corey. Dr. Hua began his independent research career as an assistant professor at Kansas State University in 1982, where he has remained ever since. 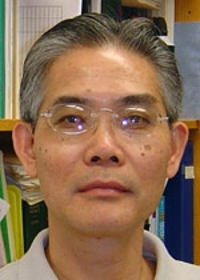 Dr. Hua is an accomplished faculty member and has been recognized for his contributions to research by receiving the Alfred P. Sloan Fellowship, the Research Corporation Research Opportunity Award, the Distinguished Faculty Achievement Award established by Ervin and Margaret Segebrecht for Excellence in Instruction, Research, and Publications from Kansas State University. He has received nearly 50 research grants, has received 4 patents, and has published over 100 papers in professional journals. Hua's research areas include the development of organic molecules for the disruption of amyloid beta-peptide aggregation for treatment and prevention of Alzheimer's disease, new anticancer drugs, endothelin receptor antagonists and release of vasospasm, inhibition of lymphatic cholesterol absorption, and syntheses of beltenes and their nanotubes and chiral phosphine ligands for asymmetric carbon-carbon bond formation.